Since 1952, schools and municipalities in Kansas and Missouri have continually selected ATHCO and Fair-Play for their indoor and outdoor scoreboards. Our customers know that ATHCO and Fair-Play are reliable, have easy to navigate controllers, and with the widest LED bar digit in the industry, Fair-Play scoreboards are easy to see. If our customers need help, they know ATHCO’s easy-to-reach local parts & service support is just a quick phone call away. 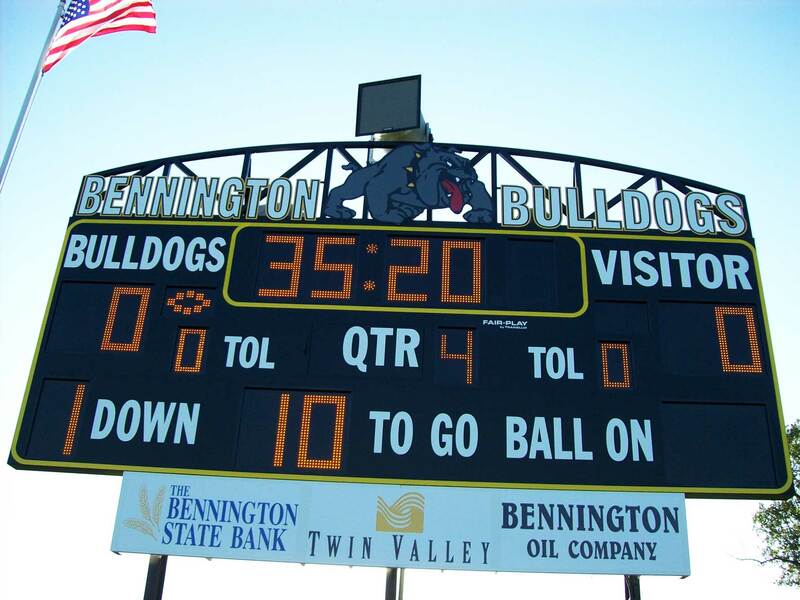 Bennington High School in Bennington, KS has an FB-8120TK-2 with team arch truss sign, and bottom sponsor sign.